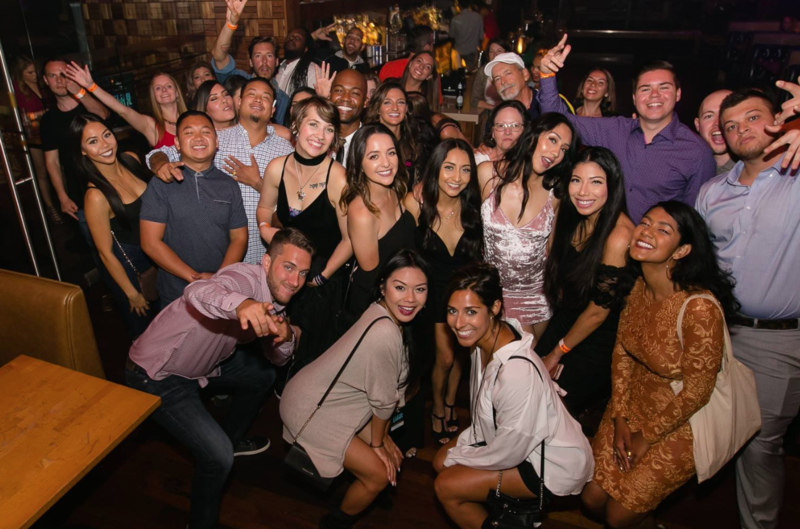 A club crawl is an event where you get together with a bunch of people looking to party on a Friday or Saturday night in SD and go club hopping. Over the course of the night, your guide will bringlos the entire group to 4 clubs in San Diego. Club Crawl San Diego began as a way for international tourists to have a fun (and cost efficient!) night out in San Diego. Steadily, the groups grew and expanded to locals, and out-of-towners visiting friends or family for the weekend. Now, we have an average of 100+ groups every Friday and Saturday night! Often we see familiar faces that have been on our San Diego club crawls several times before. Tickets are only $25 and can sell out if the crawl reaches capacity. Buy your tickets here! Why should I go on a San Diego Club Crawl? It’s a cheap way to go out – your cover charges are all included. Cover charge at one of these clubs is typically $20 – you get to go to 4 of them! You can also meet a group of fun, likeminded people who are looking to party. You also get to see multiple hotspots in one night – perfect if you are from out of town or have out-of-town visitors, or even if you’re just the indecisive type. 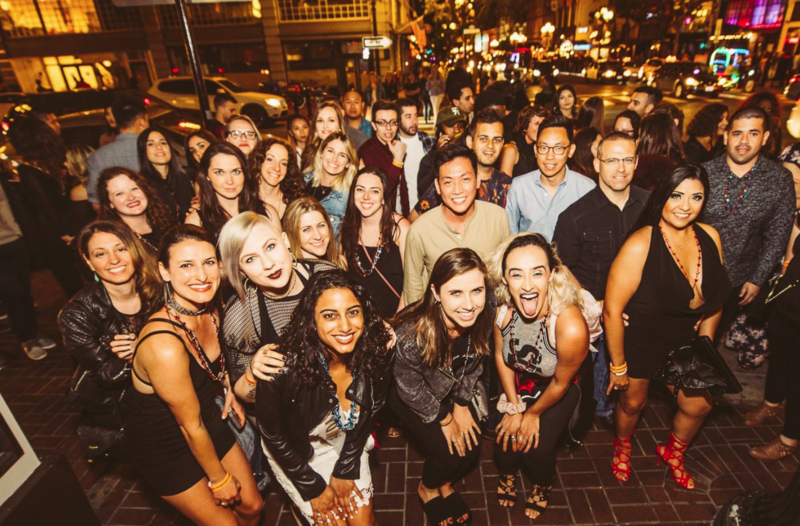 Why should I choose San Diego Club Crawl? Best Ratings: The San Diego Club Crawl is the most highly rated Club Crawl of all the Gas Lamp club crawls on Yelp and Tripadvisor. Biggest Groups: Club Crawl San Diego began as a way for international tourists to have a fun (and cost efficient!) night out in San Diego. Steadily, the groups grew and expanded to locals, and out-of-towners visiting friends or family for the weekend. Now, we have an average of 50-100+ size groups every Friday and Saturday night! Often we see familiar faces that have been on our club crawls several times before. Best Nightclubs: We have grown from just a few bars and clubs to the best of the best in San Diego- including Gaslamps biggest nightclub – Omnia SD. Also included are crowd favorites such as Bassmnt, Fluxx, Parq, and Sidebar. What’s more, we always stay on top of new club openings and change our lineup every few months based on where our guests want to go. What is more, we take you to actual nightclubs, not bars and pubs that some of the other LA club crawls go to. We are definitely 100% a “club crawl” and not a “pub crawl.” We pride ourselves on being a high end, VIP and epic club crawl experience. Fun and Friendly Hosts: Our hosts are always down to party! We want our club crawlers to have the best experience when they come out and it shows in how much they engage with our groups. Do I get free or discounted drinks? The San Diego club crawl starts out with a free welcome shot and $5 shots at Analog! You can see the details for each event and purchase tickets here. What are the advantages of going on the San Diego Club Crawl over going to a regular club? You get to meet a bunch of people who are looking to party and have fun. You get a host to guide you and make sure everyone is taken care of – your night will be completely stress free – just show up and party! Which clubs do these club crawls go to? The clubs on each night varies, but the Gaslamp nightclubs included in Club Crawl San Diego include: Analog, Parq, Side Bar, Fluxx, Bassmnt, and Omnia. What kind of music do the clubs on the SD Club Crawl play? It varies depending on the night and DJ. Omnia and Bassmnt are both typically EDM music, Sidebar and Fluxx are typically a mix of EDM, Hip Hop, and Top 40. Can I schedule a private club crawl for birthdays or large groups? Yes if you have a large group we can arrange for a private club crawl for your entire group. Contact us at reservations@discotech.me and we’ll set something up! How much does a San Diego Club Crawl ticket cost? Tickets cost $25! The number of guests in a group is limited, so we recommend reserving your tickets in advance. Buy your tickets here. Can I stay at one of the clubs? Yes, if you meet someone or really enjoy the vibe at any of the clubs on the crawl you can choose to stay and not continue with the group. Which days can I go on the San Diego Club Crawl? The Club Crawl San Diego happens every Friday and Saturday. Will there be club crawls on holidays? Yes, the San Diego Club Crawl hosts crawls on major holidays. However, ticket pricing on holidays will be elevated. Check ticket pricing here! Our hosts will take care of everything for a legendary night out. We take you to the top clubs and walk you in with no lines and no cover charges. Your only responsibility is to have a great time. With an average group size of 50 to 100+ guests, it is easy to meet and make new friends that we hope you keep long after the last call. Whether you are a visiting tourist, an experienced local, coming as a big group or by yourself, everyone is welcome and we promise a fun, hassle free VIP evening with our groups and hosts.